Pentax 43mm f1.9 Special for Leica Mount ? 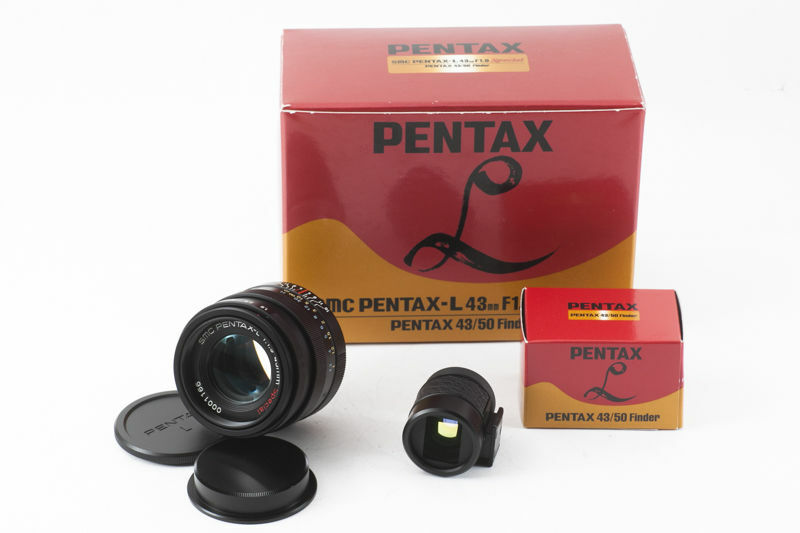 I was just messing at Ebay when i found this odd lens "Pentax　43mm f1.9 Special". It appears to have little no no info at web, even on Pentaxforums. Wondering what's so special about it, any relation with Ltd 43 (optics prob. same)? And why there is so little info about it ? I have attached few photos so you can see this exotic beauty yourself! That's an L39 Leica lens. It's highly thought of by some. You get the same lens with a longer body, no AF and a Leica M mount, as you get in Pentax K-mount. Of course, you get an OVF to match, as well. Edit: Sorry, L39 mount, not M-mount, which it will fit, of course, with an adapter. Last edited by RobA_Oz; 05-15-2015 at 01:27 AM. This is SMC Pentax-FA 43mm F1.9 Limited for the Leica's with 39 mm thread. Last edited by Stavri; 05-15-2015 at 06:16 AM. 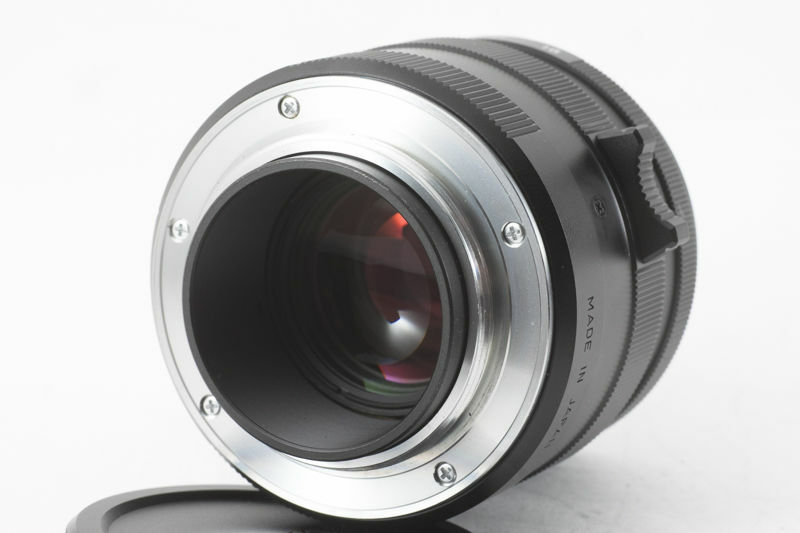 Funny, I saw a silver version of this lens on Fleabay a few weeks back (but without the accompanying finder) and without the finder clue it took me quite a while to work out it was as others have described above. It's the same 43ltd, but for Leica M mount. I have read the story regarding the 'highly desired by RF users that Pentax was asked to make one for the m mount' , but Leica users have also rebutted that it's nonsense. ("Since nothing beats a cron or a lux or a dis_a_goon "). Anyone got proof of this background story? Digitalis uses one, if I'm not mistaken - someone should ask his opinion. I understand it was produced to show that Pentax could produce normal lenses just as good as those from Leica. It's quite rare but I'm sure that the majority of Leica users will shun it, as it won't have the same finish as the Leica gear and will therefore spoil their glass display cabinets which their cameras never leave. Carl Zeiss and Voigtlander lenses are widely used on Leicas. The non-plastic Pentax lenses are just as well built and finished as those, and the Leitz lenses as well, so I really doubt there's that much snobbery associated with most Leica owners. Many Leitz lenses go for not much more than Pentax money, too – it's mostly the exotic ones that command high prices on the secondhand market, and they're exotic because they perform well, not just because they bear the magic name. Even Canon or Zorki copies of Leitz lenses find their way onto Leica bodies, so we shouldn't stereotype their owners. Heaven knows, we get enough of that, ourselves, from Canon and Nikon owners! Pentax users in eyes of other brands: " A small group of hipsters which uses a brand that has no FF camera". Once somebody asked me, an experienced photographer, if Pentax was a new brand. 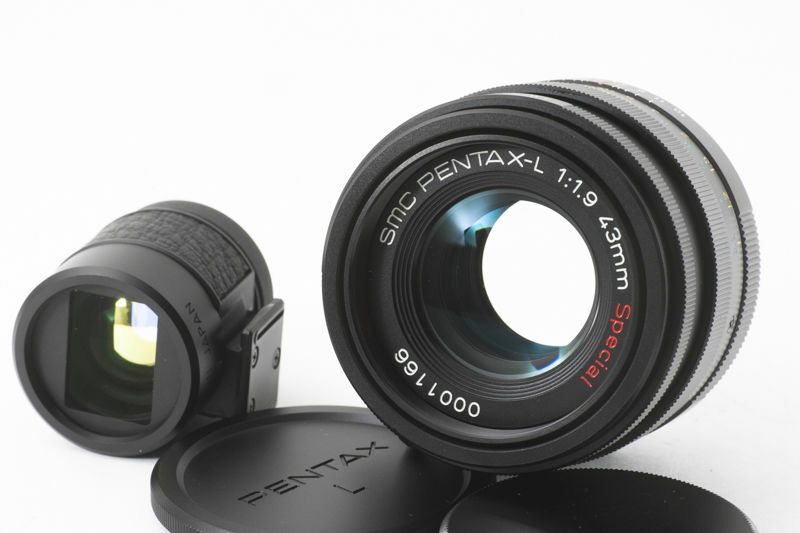 Nevertheless its good that Pentax made a lens for Leica. Sad that Pentax lacks on fast, small primes compared to others now. I would say that the RF lenses mostly feels more compact and solid over Pentax lenses. The RF system requires tighter tolerances since it's not a WYSIWYG over a prism based focus system. Leica is certainly more expensive. That's the price of most brands 50/1.4. An m mount RF version is usually at least $100 more. As more them being better. Think of it as an arms race. The Germans were smart, but the Japs were not dummies. So one brand comes out with a good lens, a few years later, another comes with something as good if not better. I briefly bought a m mount summicron 50 DR.
Did not find it better than a A50/1.7 except for a more rounded aperture. Old coatings and more natural color, more fine sharpness over apparent sharpness. There are gems in their line of course. High tolerances, QC, customer service and good resale value too. Last edited by pinholecam; 05-15-2015 at 09:26 PM. There are germs in their line of course. I don't think there's any great disagreement between the things we both said. What are the Pentax product ID's for the silver and black version?